Would you like a way to showcase some of your favourite photos? Do you feel like after all your hard work that your scrapbook pages go into an album and don’t really get seen? Are you a card-maker who would like to try something new? 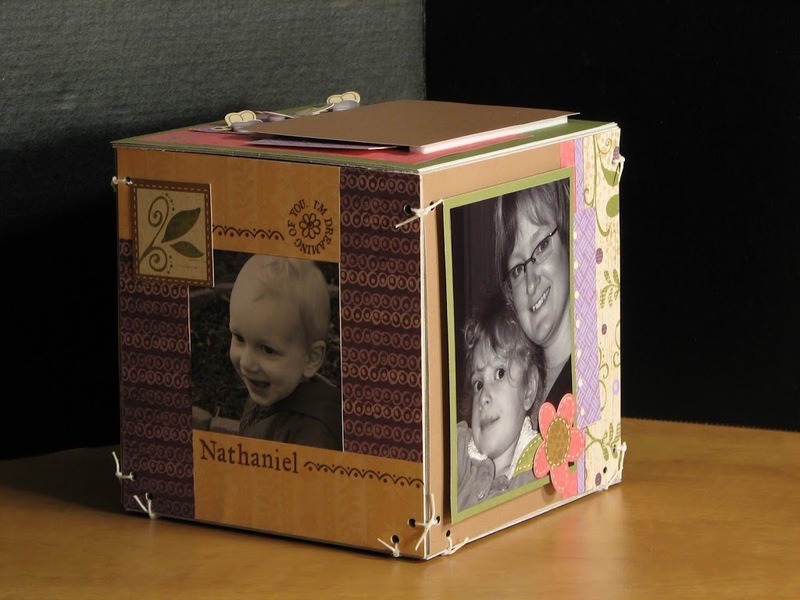 Do you love paper crafting projects? If you said yes to even one of these questions, I’ve got the workshop for you. 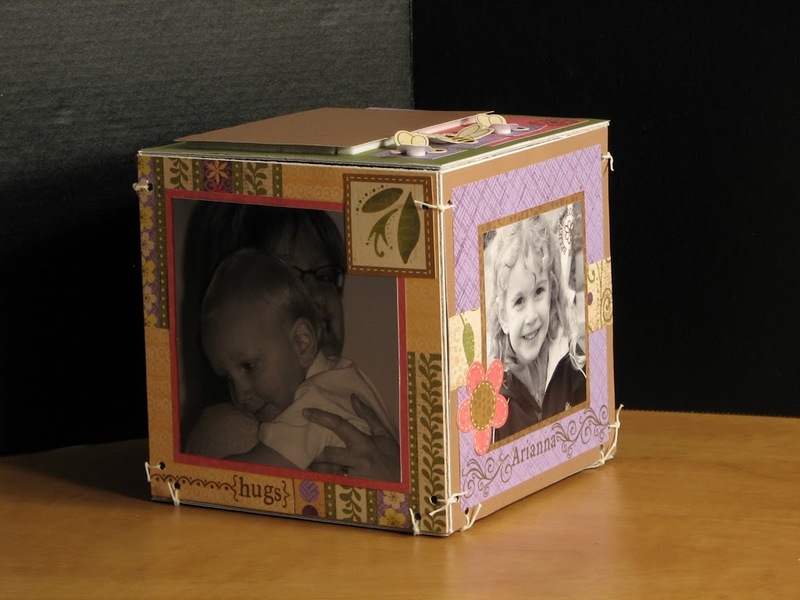 On Friday, May 29, from 7-9:30pm, I will be hosting a photo cube workshop. This is a no-ink workshop. We’ll be focusing on stickese and rub-ons for embellishments. The total cost is $37, which will include a 1/2 pack of Bella Level 2 paper, full package of Bella My Stickese, one sheet of rub-ons, full package of White Hemp and a small accessory packet with Foundry Tabs and some 3-D Foam Tape as well as the cube. There will be lots of product left over for you to take home. Here’s a peek at what you’ll be making. Your cube will look unique to how you use the stickese and rub-ons. There are a couple of places for some hidden journaling. The Foundry Tabs are not on this sample yet since I’m still waiting for them to arrive, but they will be attached to the journaling tags. I can’t wait to put this in a special place in my craft “area”. I’m guilty of putting my pages away too quickly to enjoy them. These are some of my favourite photos of my kids and this time I made sure to put myself in them, too. Looking at this cube makes me smile. I hope you’ll decide to join me in making something that will make you or a loved one smile, too. If you round up your workshop cost to $40, the difference will go to Operation Smile and you’ll be given three tickets for my special draw. What’s the prize? Not only are there some retired accessories, but you’ll also have a chance to win a Stamp of the Month. If you’d like to attend, you will need to sign up by Monday, May 11. Please pay your workshop fee as soon as possible. When you sign up I’ll let you know what you need to bring with you.